Tell people you are going on holiday to the Maldives and you will be greeted with reactions such as "wow that sounds amazing" or "you lucky thing I am so jealous" or "you are going to have such a fabulous time". Tell them you are going to spend a week taking in the beaches of the North Sea in Holland and you are more likely to encounter perplexed looks (think Joey from Friend's smell the fart acting face) and querying comments such as "Holland? That is an unusual choice" or "What made you decide to go there?" 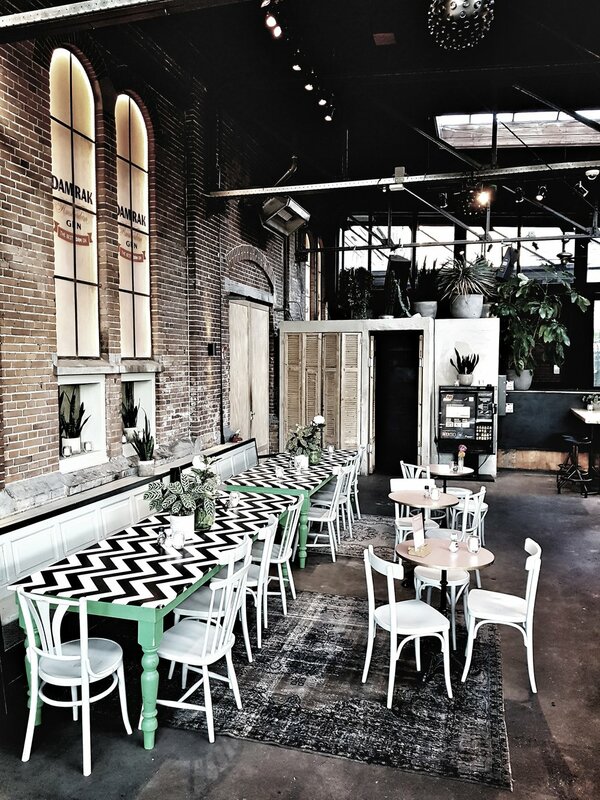 Chances are nobody will say "Ohh Holland, you are going to love the stunning coastline, oodles of beach clubs with amazing boho interiors and tiny hamlets over looking the water with cobbled streets and clapboard houses." Well, unless you tell Kinship Creative, my Scandi Sister from another mother that is. 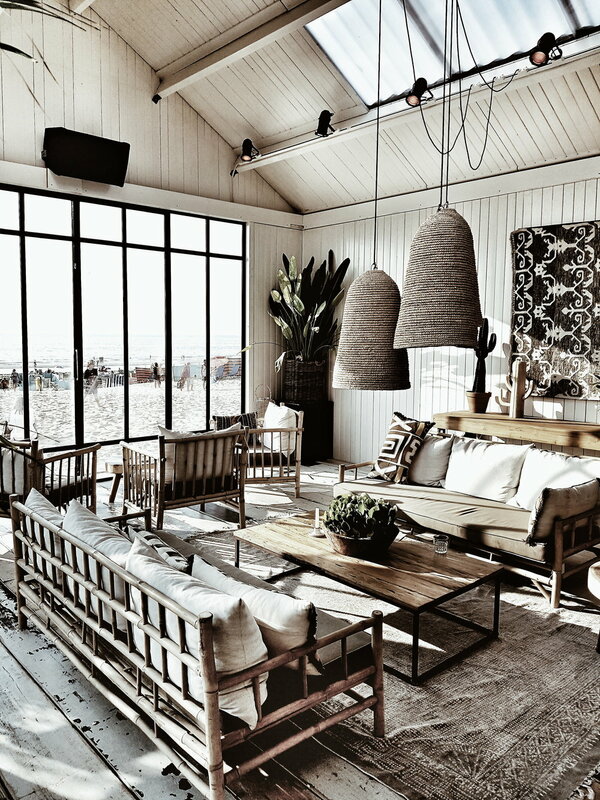 It was on her instagram feed a year or so ago I first spotted an amazing looking beach bar with bleached rattan furniture and rustic textures galore that I mistook for a hotspot in Ibiza but which turned out to be on the Dutch coast just 30 mins away from Amsterdam, a city we had a one night stand with (not in) last February. One night was enough to make me think I would very much like to go steady with the Dutch capital city. Dotted as it is with beautiful buildings, amazing cafes, cool lifestyle and homeware stores and great museums and parks to keep kids entertained. So just after Christmas I started doing my Air BnB research. 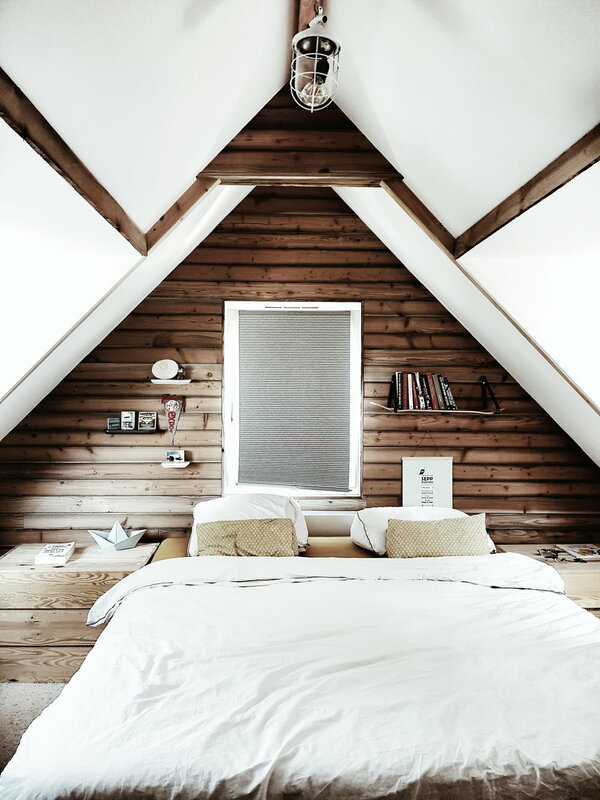 It quickly became apparent that to stay in central Amsterdam itself in the Summer holidays in something that was not a shoebox or a youth hostel (although to be fair some of those looked quite nice) would potentially cost more than the UK's Brexit bill. I was about to give up when I widened out my search area a little bit and spotted a clapboard house located on a dyke (an inland sea) about 15 mins drive outside of Amsterdam which fitted the bill perfectly. Sometimes in life things which look great in a photo or on the TV turn out to be disappointing in real life. Like Dermot O'Leary for example who I used to be rather partial to until I spotted him in Euston WH Smith and realised he is about the size of a small Irish Leprechaun in the flesh. Happily when we arrived out our home in the Holland for the week it turned out we had the luck of the Irish on our side. 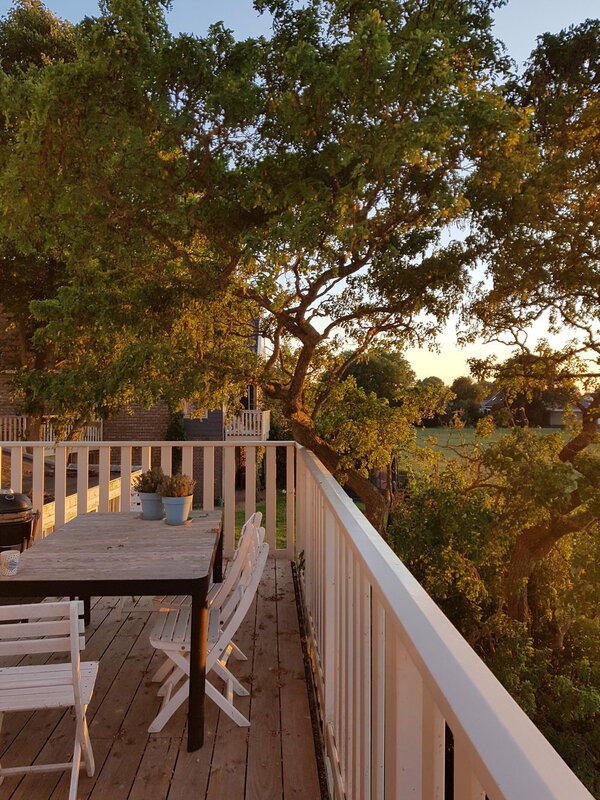 Click here for the Air BnB link but the pictures really can't convey what an amazingly idyllic setting it is in. 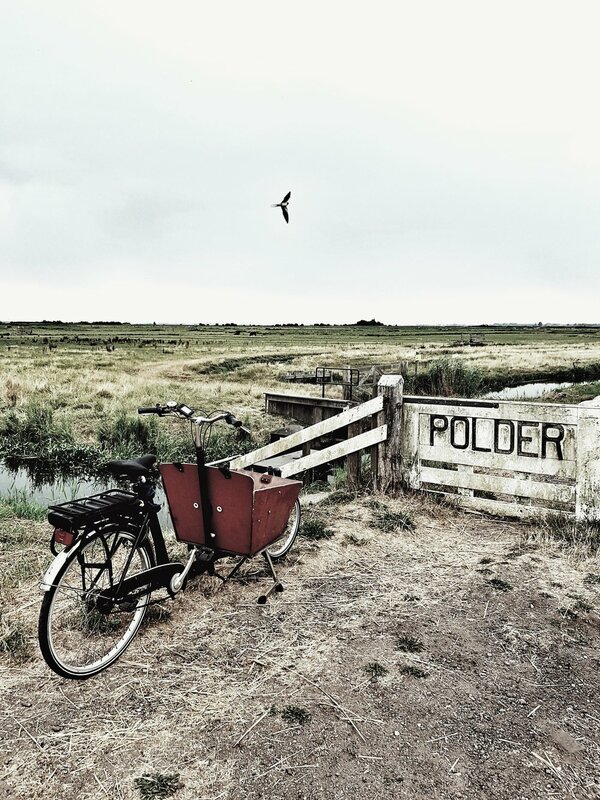 Durgerdam is a tiny Hamlet of impossibly appealing houses looking out to sea. Our view to the front of the house was of boats bobbing in the harbour and sailing in the sea beyond and from the back there were meadows with sheeps and cows grazing with a stream running out throught the field. 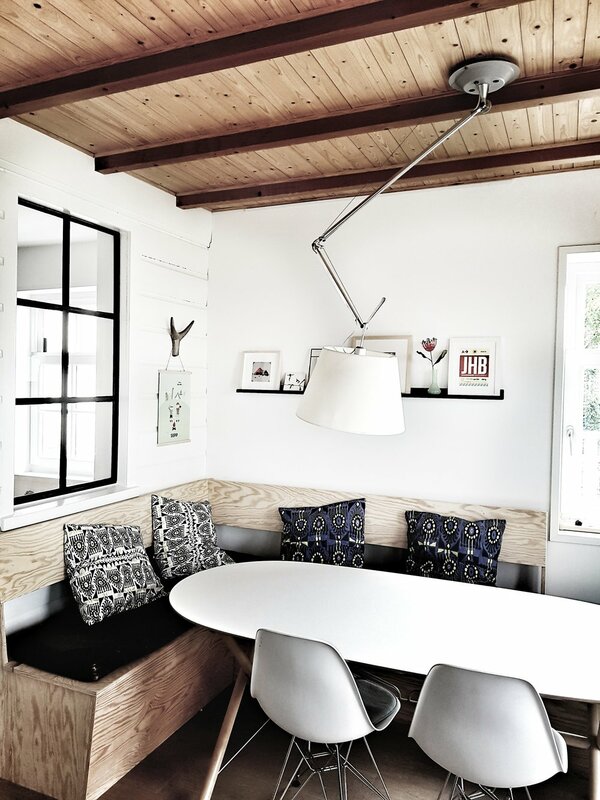 The house is arranged over 3 levels and is a perfect base for a family break. 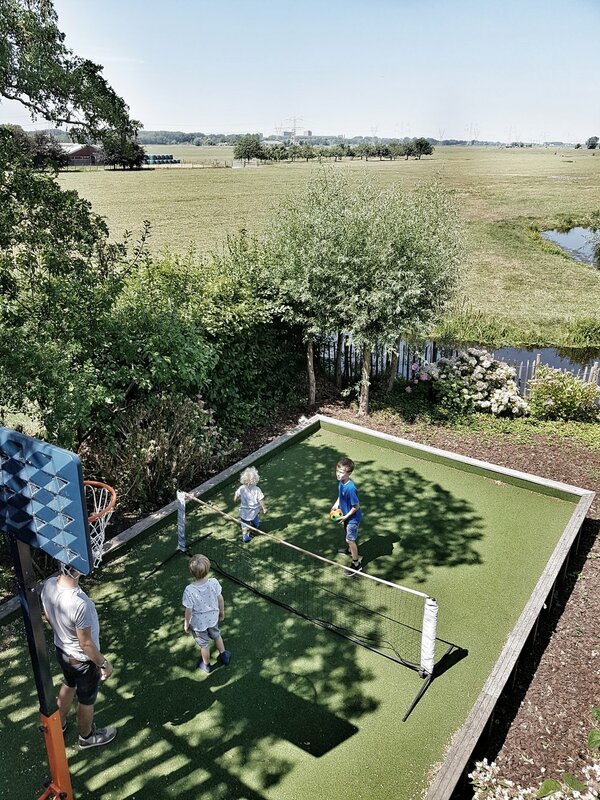 The owners also have three sons of very similar ages to ours so there were a wealth of toys and activities to keep the trio of todgers entertained including a pool table, a mini astroturf pitch a full scale basketball net and a sandpit all in a safely enclosed garden. This meant that I actually managed to spend ten minutes lying in the huge hammock on the veranda which wraps around the house without anyone under the age of 8 appearing to tell me they were bored, had accidentally flushed their lego down the loo/wanted to use my phone to play a game that involves a sausage on legs running an assault course that would consume my annual data allowance. 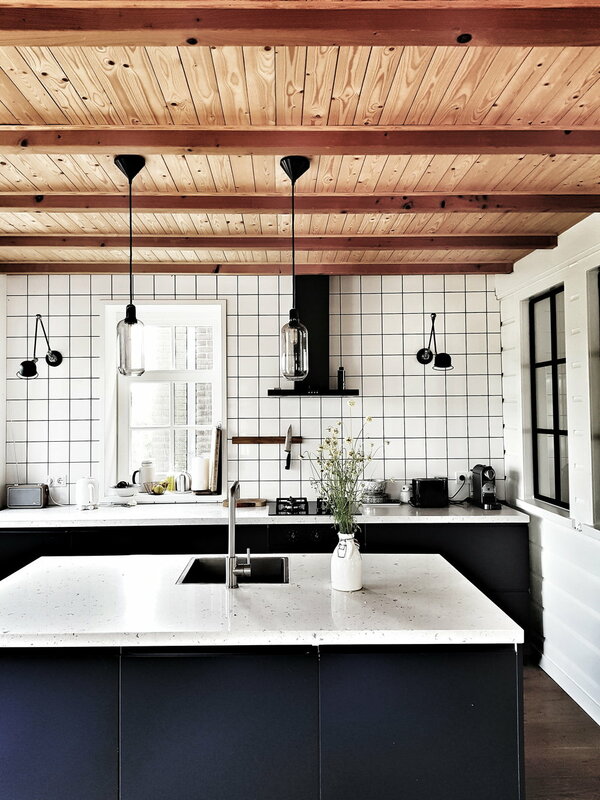 There are 4 bedrooms, two double, two single kids room and two bathroom all decorated in a crisp clean Scandi inspired style with some gorgeous rustic features like the pine cladding wall in the main bedroom and concrete sinks in both of the bathrooms. It is a style I am going to call Netherlands Nordic. 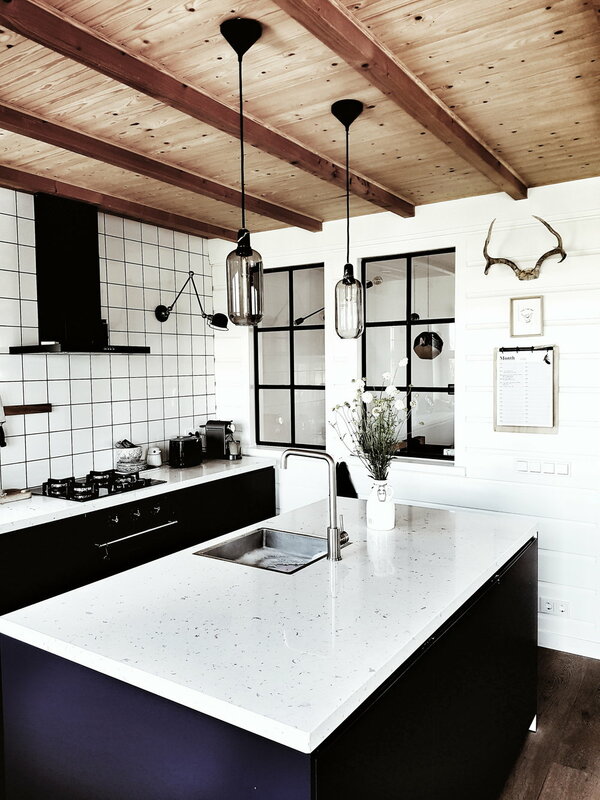 The real jewel in the crown though is the kitchen which leads out on to the wrap around veranda I mentioned. 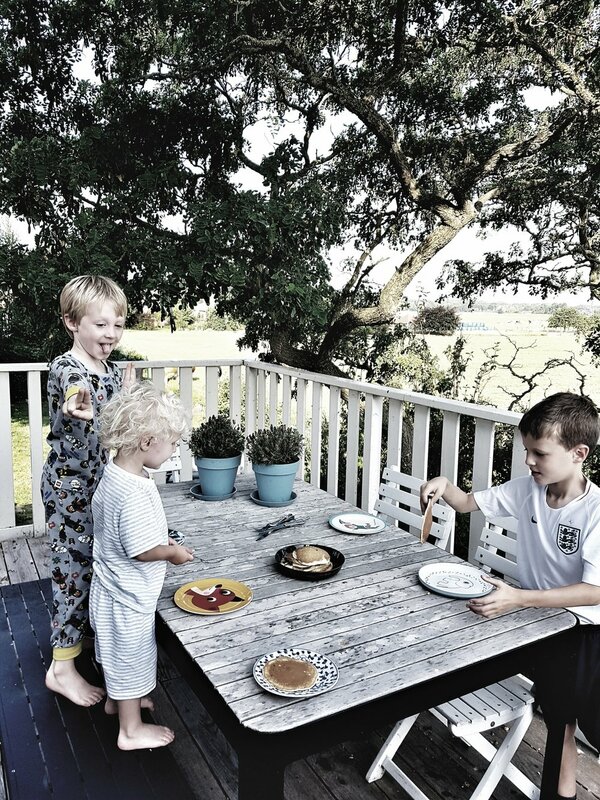 This is where we spent most of our time with breakfasts around the huge oval table which had a really cool built in plywood benches to sit on with lots of storage incorporated. Dinners were taken out on the deck watching the sun go down over the fields. 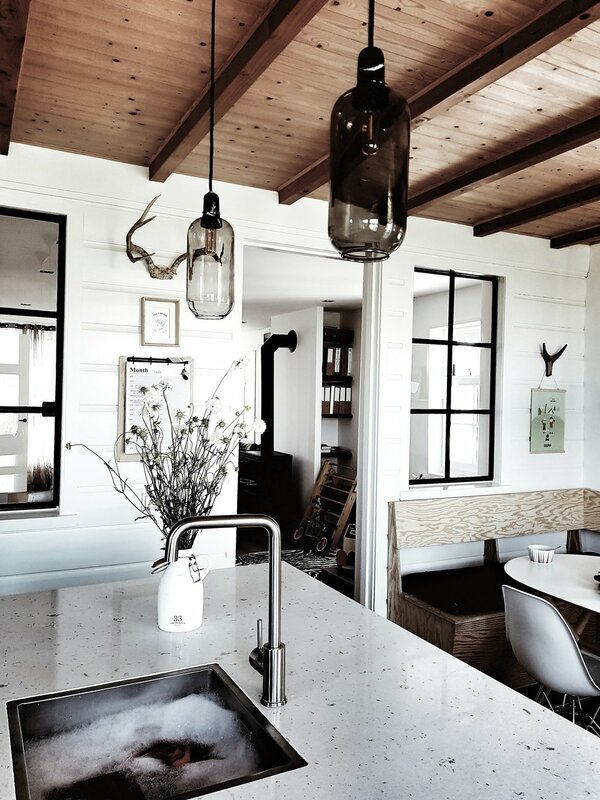 The kitchen leads through to a living space and kids play corner and I loved the crittal style windows that linked the two spaces and the timber ceilings in the kitchen which added a touch of cabin chic to proceedings. 10 minutes up the road from the house is a Landmarkt supermarket for all of your grocery requirements. I think it might be the Dutch equivalent of Whole Foods judging by the amazing range of mouthwatering fresh produce and slightly eye watering prices. It is definetely not the cheapest place to stock up on nappies and bin bags but all of the food on offer was delicious. 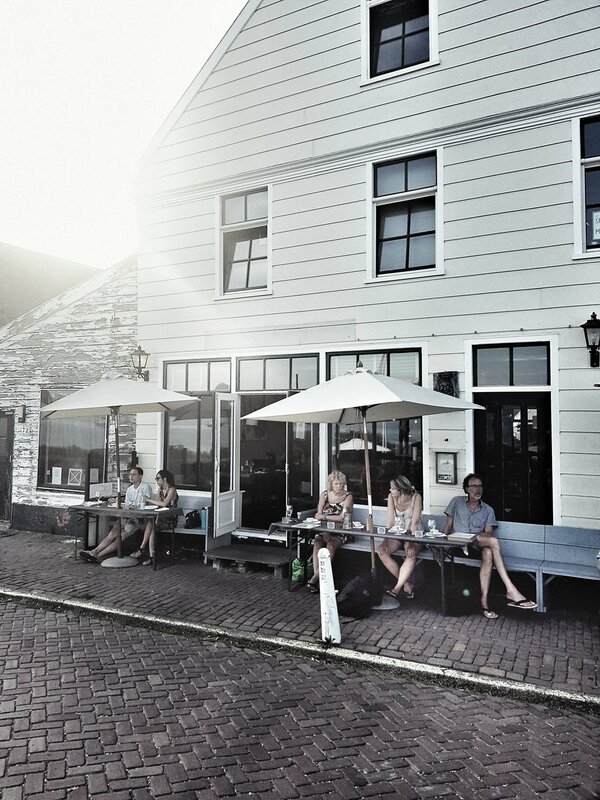 There is also a lovely little restaurant in Durgerdam with tables right on the water and seems to be the place that Amsterdammers like to come and moor their boats and grab a bite to eat and glass of wine of a weekend so make sure to book in advance. The weather when we were there was amazing so we were happy to have the option of cooling down by going or a swim in the sea from the pontoons leading out to sea or to let the kids paddle in the shallow waters from a little beach just 5 mins walk from the front door of the house. If you can tear yourself away from this little corner of paradise then Amsterdam is just on your doorstep and you are within an easy drive of the beaches to the North. 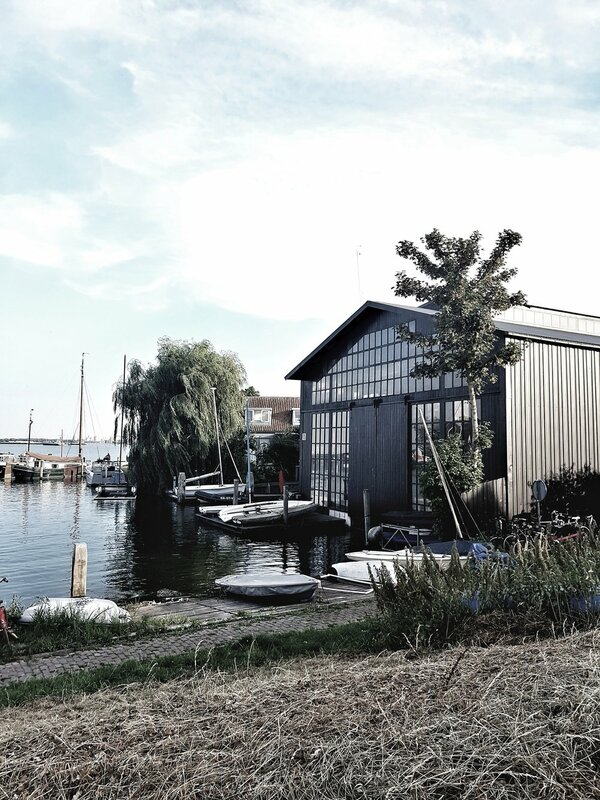 I have rounded up below a few of my favourite places that we visited but it is a far from comprehensive guide to all of the delights that Amsterdam and the coast have to offer (and definitely doesn't include delights including ping pong balls I am afraid). I hope to go back many times to this gorgeous area to build up the Malmo & Moss guide gradually! Having kids is a wonderful life enriching experience but it does mean sacrificing some of the things you previously took for granted. Like the ability to cough without also doing a little wee or any hope of going to the toilet without someone bursting in within two minute of your cheeks hitting the seat. Mooching whilst on a city break is another one to add to the list. 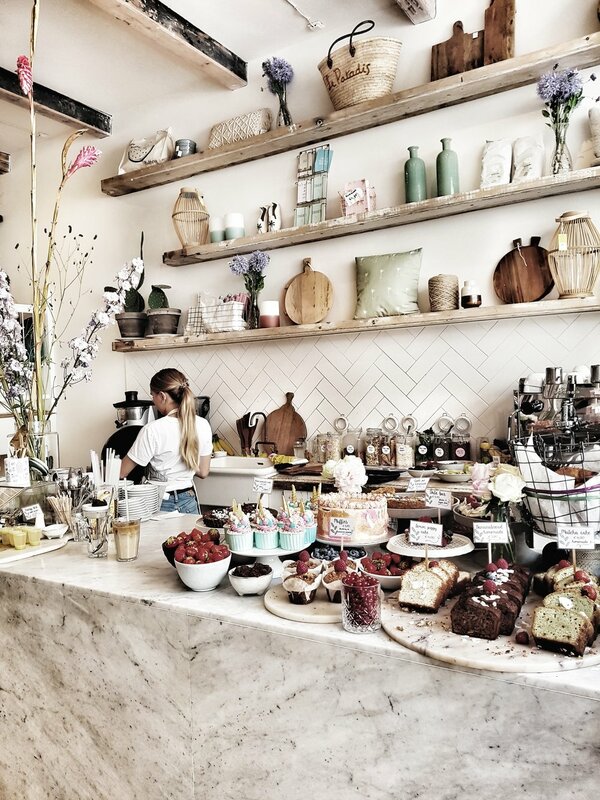 By which I mean idly wondering pretty streets with no clear aim other than pottering in and out of little boutiques and stopping in whichever bijou winebar, cute cafe or rustic restaurant takes your fancy. If, like me, you are exploring Amsterdam whilst also keeping an eye on 3 boys, 3 footballs and with a buggy more heavily loaded than an Eddie Stobbart lorry then head to the Westerpark neighbourhood and explore the Westergasfabriek, the site of a former gas works which has been redeveloped into a beautiful park and cultural complex with indie shops, elecetic eateries, an arthouse cinema and brewery all housed in gorgeous old buildings. 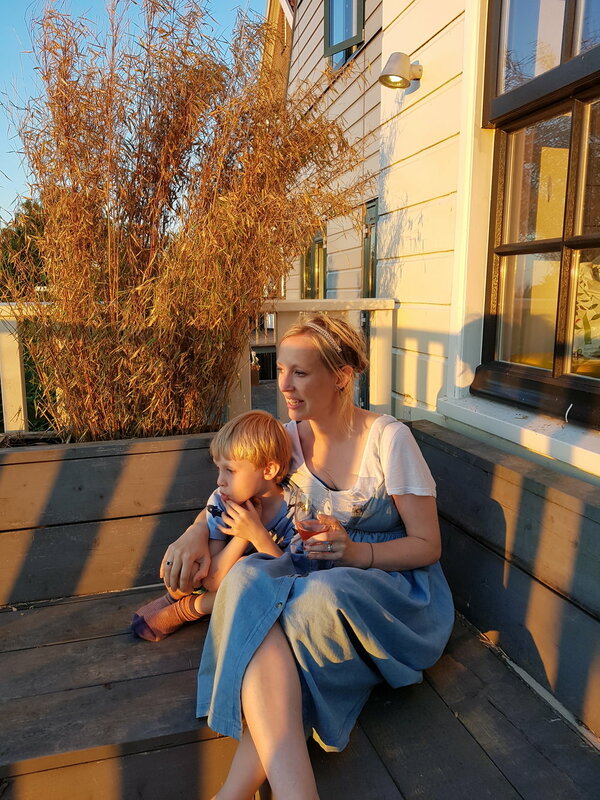 We ate at Westergas Terrass which had statement boho lighting, industrial textures and vintage features and tables opening onto a huge public space in which the boys could run around and play whilst we waited for the food to arrive. On the other side of town, the Vondelpark runs through the centre of the City with miles of cycle paths, open space and playgrounds for kids to explore. 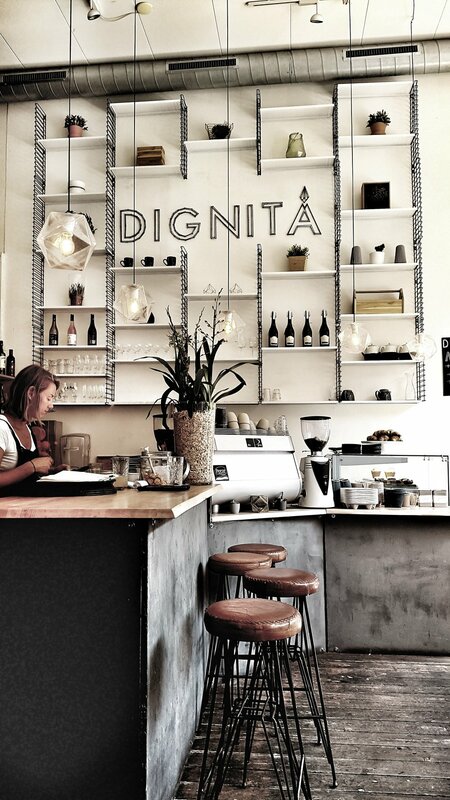 Just aroound the corner from the park is Dignita which sounds like it might specalise in Euthansia but which is actually a kid friendly cafe that serves a mean brunch, They have a play area to enterain the kids and a licensed bar should you fancy a bloody mary with your eggs benedict. If you are in Amsterdam unencumbered by junior chaperones then the 9 Streets is the area to head to for mooching. 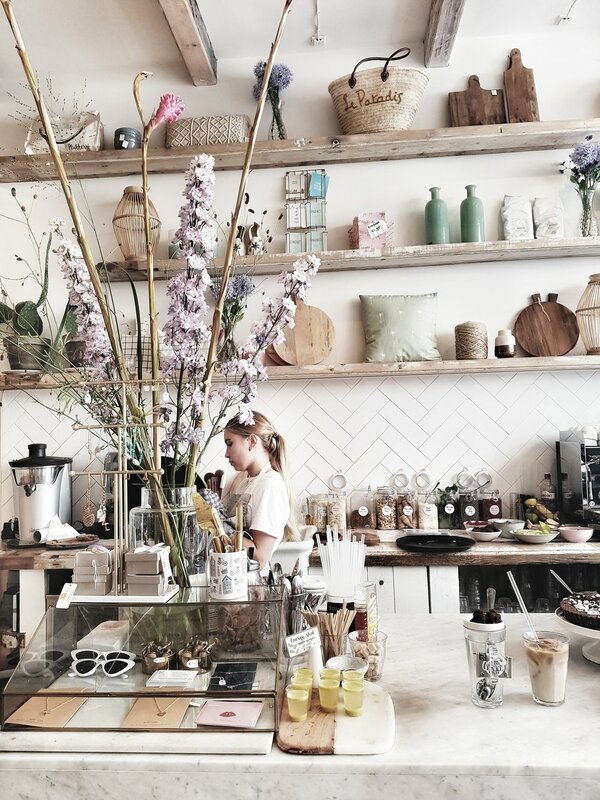 There are a myriad of gorgeous lifestyle stores and cafes to while away the day in. By allowing the boys to plunder my annual data allowance watching Thomas the Tank Engine/Angry Birds/Fifa rerun videos on my phone we managed to squeeze in an instagrammable brunch at Pluk, a cafe within a lovely lifestyle store with plenty to tempt you in the way of food and homewares. The nearest beach to Amsterdam is in Zandvoort about 30 mins drive away and then slightly further up the coast is Noordwijk. The towns themselves are nothing to write home about (there is a slight air of Soviet by sea about the drab concrete buildings that line the seafronts) but when you get down onto the beach all thoughts of Gorbachov will be forgotten. The beaches are miles long, wide open and, compared to Majorca or the South of France, relatively deserted. 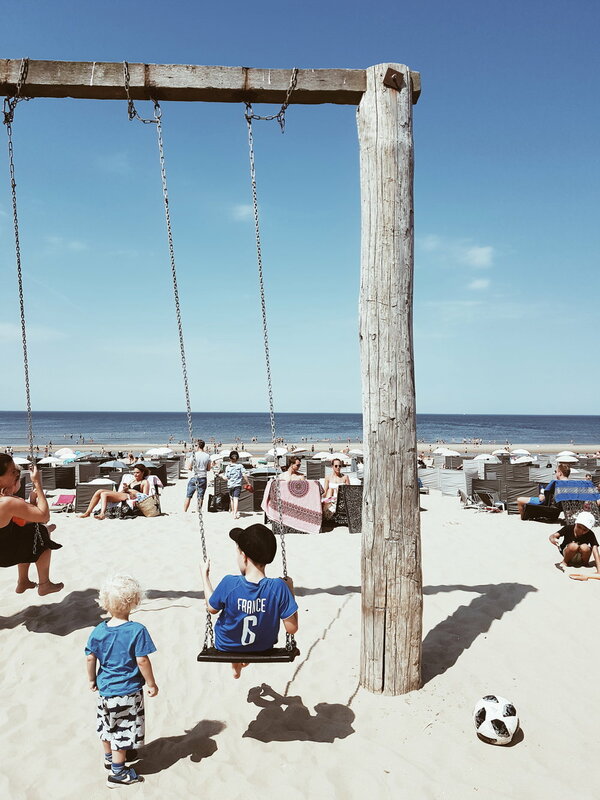 The sea is perfect for swimming in and surprisingly warm and there are shallow inland channels perfect for kids to paddle in without any fear of being swept out to the North Sea.